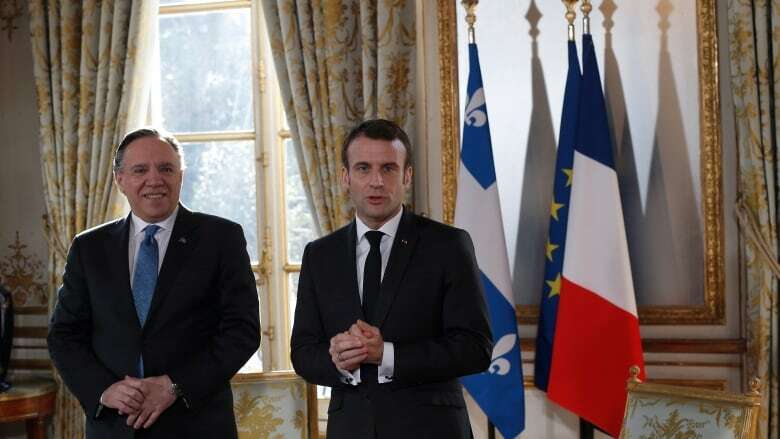 While in Paris, François Legault said Quebec should boost the number of French immigrants it accepts, because they will have an easier time integrating. Quebec Premier François Legault says he wants more French and other European immigrants to come to Quebec, despite his government's plans to cut over all immigration levels by 20 per cent. Legault's comments were made while he was in Paris on Monday, after meeting with French President Emmanuel Macron. "When we look at the immigration situation in Quebec, the problem I see … is that there are too many who are not qualified, and too many who do not speak French," he said. He told the Montreal newspaper Le Devoir: "We'd take more French people, and Europeans as well." Legault's remarks on Monday conflict with his past statements on immigration. Before last year's election, he criticized Quebec's immigration policies for placing too much emphasis on French-language skills, and not enough on labour-market qualifications, when selecting immigrants. "[We must] answer the needs of the working market," he told CBC in December 2017. He was promising, at the time, to give newcomers three years before they must pass a French test. That inconsistency was highlighted by the Opposition critic for immigration and the economy, Liberal MNA Dominique Anglade. 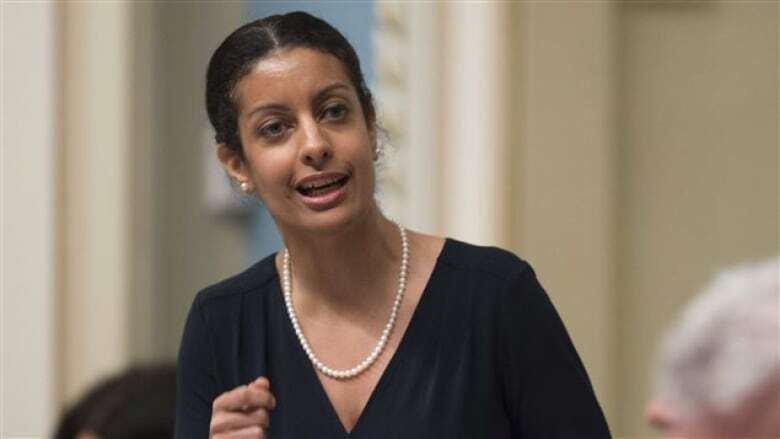 She said Legault's comments reflected the failure of the Coalition Avenir Québec government to build an immigration policy based on facts. "How can you say one thing in Quebec consistently for years and then arrive in France and say something different?" she told CBC Montreal Daybreak on Tuesday. The CAQ government tabled its immigration plan in the National Assembly last month. It seeks to reduce the number of immigrants Quebec accepts this year to 40,000, down from more than 50,000 last year. According to Anglade, the CAQ plan will also reduce the number of French-speaking immigrants by one per cent. Knowing French before coming to Quebec can help with integration, she said, but isn't necessary. The planned cuts to immigration levels in Quebec come as the province is dealing with a labour shortage, which economists worry could limit future economic growth. Anglade said Quebec needs people to work jobs at every level, including positions without technical qualifications. "We have jobs … for technicians, for people working at restaurants, agriculture," she added, noting estimates that Quebec will need to fill 1.3 million jobs over the next 10 years. She also argued that Quebec ​should diversify its pool of immigrants: "It helps the economy, if you think of exports, if you think of international relations … It's the richness of the different backgrounds that's also interesting."